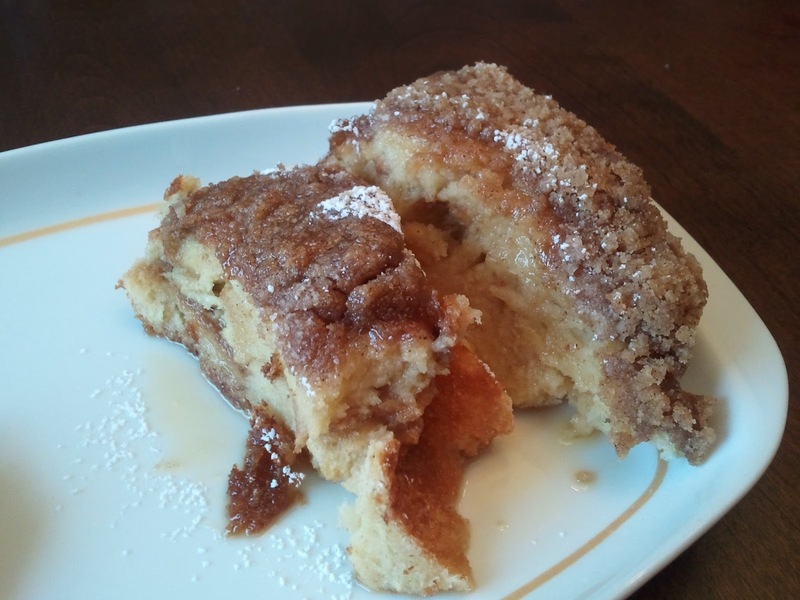 Pain Perdu was a breakfast that my Dad made for me ALL the time. Pain Perdu, is French for “Lost Bread”. It was a way to “do something” with the stale bread that would be wasted. 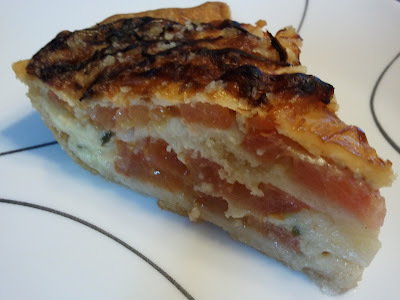 This is a take on what my Dad made, but it is a recipe from "The Pioneer Woman". In a medium bowl, whisk together the eggs, heavy cream, milk, sugar, brown sugar, and vanilla. Slice the bread into small bite size cubes and place in a 10” by 15” casserole dish or baking pan. Make the topping while the bread absorbs the custard; combine all the topping ingredients in a medium size bowl with a pastry cutter, if you have one, just use a large fork, if you don’t. The topping should look like small peas when you are finished. Sprinkle the topping over the bread custard mixture. Bake for 45 minutes for a soft pudding like consistency or for 1 hour for a firmer consistency. Serve with powdered sugar and maple syrup. This can be made ahead of time. Pour the custard over the bread and cover tightly and place in the refrigerator overnight. Make the topping and place it in a Ziploc bag until you are ready to bake the next day. This makes 10 large sized servings. This is a take on a Caprese salad. It is a one bite hors d’oeuvres that is great for a summer BBQ appetizer or even nice for a cocktail party. They are easy to make (just time consuming) and this recipe makes about 50 “bites”. Make the balsamic vinaigrette and marinate the cheese cubes in the vinaigrette for several hours, if possible. Cut each grape tomato in half. 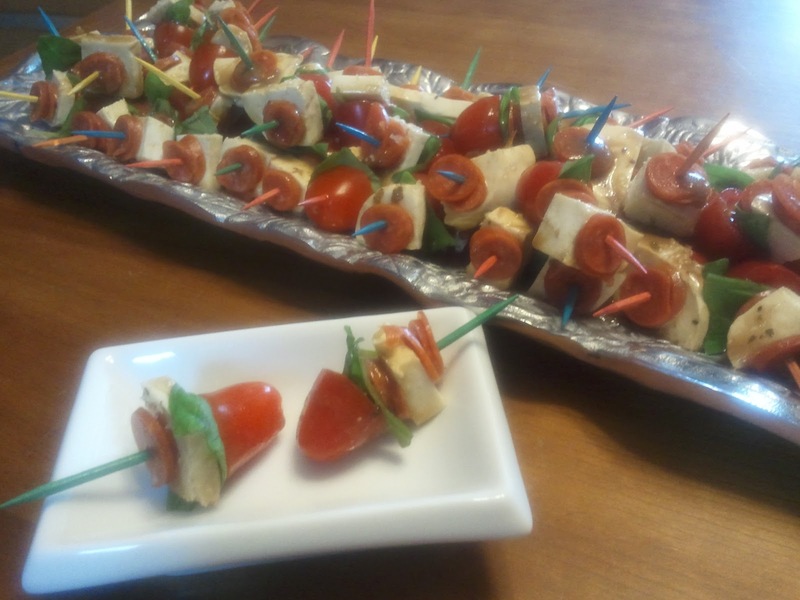 Using toothpicks, place a tomato, a cube of mozzarella, then a piece of basil. Sprinkle sea salt over all and drizzle with the leftover vinaigrette. DO NOT refrigerate the grape tomatoes. They taste best at room temperature. I can’t leave anything alone, so I changed this recipe. 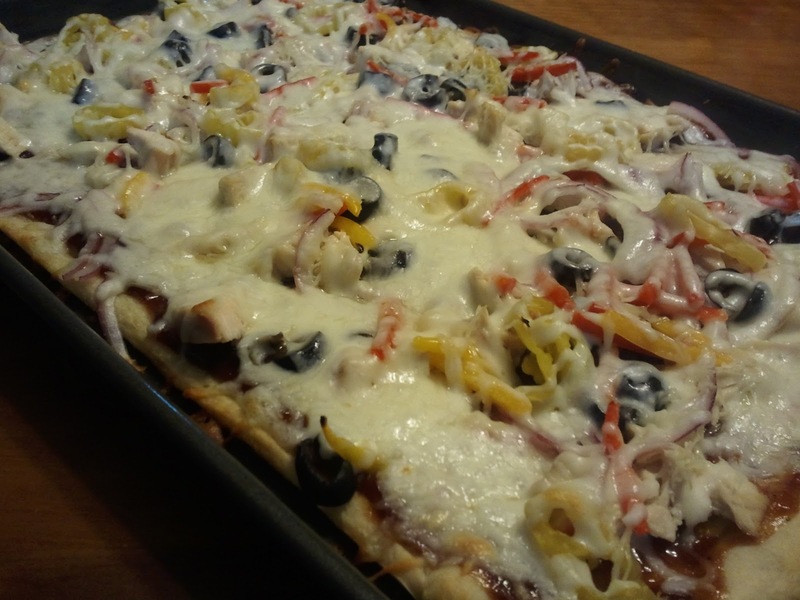 I made this with mini pepperonis for added flavor (everyone liked it). I made my own balsamic vinaigrette, but you can use bottled vinaigrette when you are crunched for time. This is a yummy recipe from "Tracey's Culinary Adventures". It is an easy fix meal or appetizer. These meatballs are so flavorful, you won't believe they are turkey! Preheat the oven to 350 degrees and line a baking sheet with aluminum foil (for easy clean-up) and spray with cooking spray. Mix all of the ingredients for the meatballs in a large bowl and use your hands to combine until everything is incorporated, but don’t over mix. Roll the meatballs and place on the baking sheet. Bake the meatballs for 20 minutes or until browned. Remove from the oven and allow the meatballs to cool while making the sauce. Whisk the ingredients together in the order they are listed in a small sauce pan and cook over medium heat for 10 minutes until the sauce slightly thickens. Reduce the heat to a simmer. Add the meatballs to the sauce and warm for 5 – 10 minutes. Serve over egg noodles or rice as a meal, or in a chaffing dish or crockpot as an appetizer. 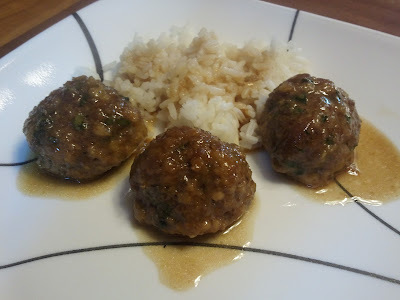 I make these meatballs with a 1½ inch scoop, if I'm serving them as a meal. The meatballs are smaller than a traditional Italian meatball. This recipe will make about 30 meatballs. If I'm making them for an appetizer I use a 1 inch scoop and it makes about 50 meatballs. Fresh ginger IS necessary. It gives these meatballs a wonderful taste. If you don’t have allspice, you can substitute ¼ t. ground cinnamon, 1/8 t. ground cloves, and 1/8 t. ground nutmeg. This is a quick dinner and it was easy! We had half of the pizza leftover for lunch the next day. You can make it with any toppings YOU like. This combination worked well for us. Unroll the pizza dough on a half sheet pan (17”x 12”) that has been sprayed with cooking spray, press the dough flat to cover the entire pan. Bake for about 7 minutes, or just until the dough is lightly browned. Remove from the oven and build the pizza. 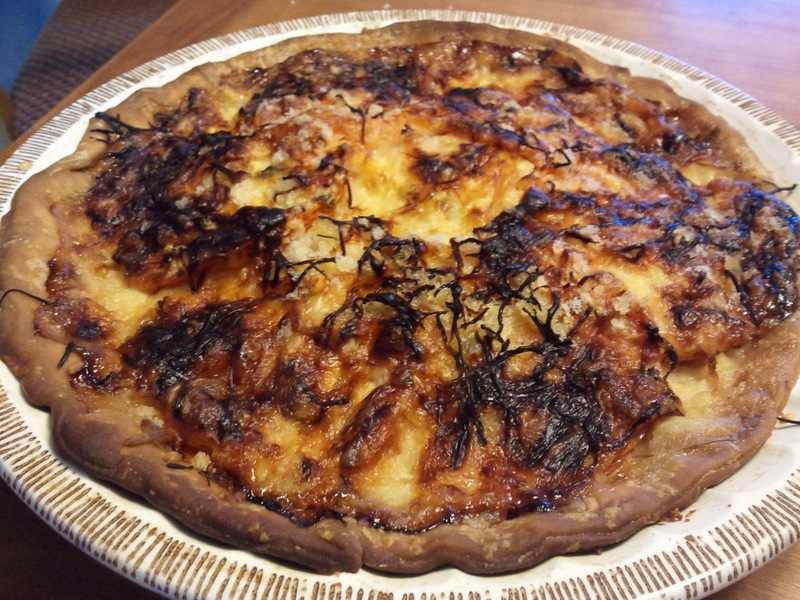 Spread the BBQ sauce over the partially baked pizza crust and sprinkle the rest of ingredients over the sauce in the order they are listed, finishing with the cheese. Bake for about 10 minutes or until the cheese is melted and lightly browned. Remove the pizza from the oven and allow it to sit for 5 minutes, then cut into pieces and serve. You can roast a chicken breast in a 375 degree oven for 1 hour for this recipe or just use the chicken breast off of a Rotisserie chicken. I use Pillsbury THIN Pizza Crust. I prefer a thin crust pizza, but Pillsbury makes a Traditional crust, also. I use Sweet Baby Ray’s Spicy and Sweet BBQ sauce or Kraft Spicy Honey, but you can use whatever sauce you like. Creole Tomatoes and Vidalia Onions are a summer staple. This is a great recipe that uses these as an entrée that isn’t a salad. It’s great as a make ahead recipe because it can be served at room temperature. Roll the pie crust into a 9 inch pie plate and gently press the crust into place around the pie plate. Pierce with a fork in several places on the bottom of the crust and in a few spots on the side. 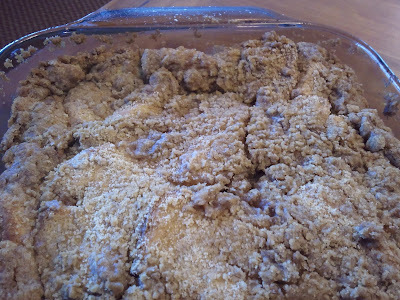 Bake the pie crust for 10 minutes or until lightly brown. Remove from the oven and allow the crust to cool while preparing the pie ingredients. Cut the onion in half to create a semi-circle and then slice thin, cut the core off of the top of the tomato and discard and then cut into slices. Sprinkle the tomatoes with the salt. Combine the mayonnaise, egg yolk, garlic, and cayenne pepper together in a small bowl. Sprinkle 1/3 of the breadcrumbs in the bottom of pie plate, cover with half of the tomato slices, half of the sliced onions, and half of the herbs. Drizzle half of the mayonnaise mixture and then cover with half of each of the cheeses. Sprinkle another 1/3 of the breadcrumbs over the cheese, and then the rest of the tomato slices, the rest of the sliced onions, and the rest of the herbs. Drizzle with the rest of the mayonnaise mixture and cover with the rest of the cheeses. 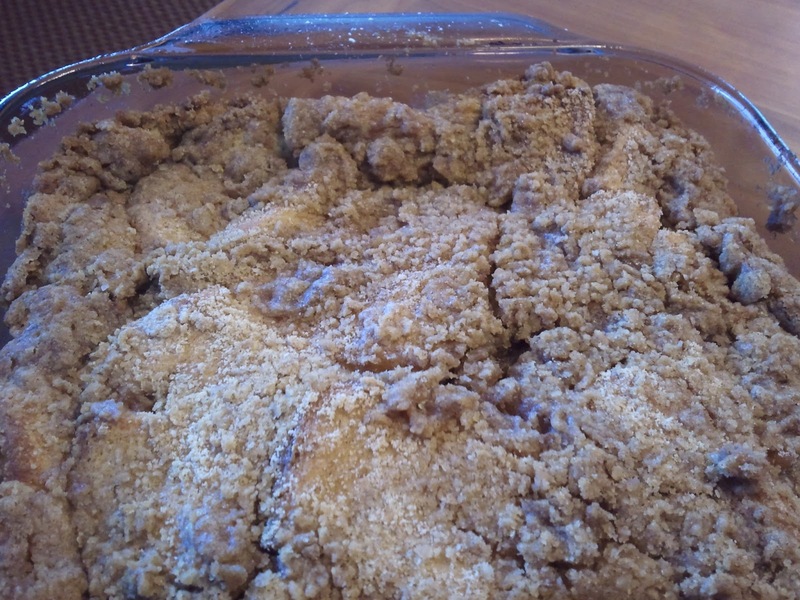 Finish with the remaining bread crumbs and drizzle the olive oil over the whole pie. Bake for 1 hour (the top should get nice and brown). Remove and allow to cool for at least 30 minutes before serving. This pie is best at room temperature. DO NOT refrigerate the Creole tomatoes. They taste best at room temperature. If you can’t get Creole tomatoes you can use Beefsteak tomatoes and it you can’t get Vidalia onions, you can use sweet onions or red onions instead. If you don’t have Panko breadcrumbs, unseasoned breadcrumbs work well also. I use Pillsbury Pie Crust, which can be found in the refrigerated section of the grocery store, usually by the can biscuits.